“Each of us in our own unique way is scavenging our lives for twigs of wisdom to help build a safe haven for ourselves in the world,” writes Farrell Mason. We find twigs, we share them, our hearts feel full. Today, I’m so delighted for Farrell to stop in at Bacon and share some wisdom gleaned from The Book of Joy: Lasting Happiness in a Changing World, a New York Times bestseller by the Dalai Lama and Desmond Tutu. I sometimes think of myself as a spiritual magpie, always on the lookout for a bit of inspiration. If you visit my “nest” you will find the words of Jesus, lovely psalms, letters from St. Paul, commentaries from Thomas Merton, Barbara Brown Taylor and C.S. Lewis, even the poetry of Rumi. Glance left and right and you’ll see candles flickering, jars of holy Lourdes water, a couple of yoga mats and an app for meditation. Woven in are memories of experiences at Vanderbilt Divinity school, a healing ministry at Woodmont, a stay at a Franciscan Monastery and several dips in the holy healing waters of Lourdes. My spiritual abode is strung luminous with scraps of paper, covered in prayers written in my own hand. Intertwined are precious photos of my husband and children who have taught me much about love. You see, I am truly a magpie – a consummate gatherer of all things sacred. Each of us in our own unique way is scavenging our lives for twigs of wisdom to help build a safe haven for ourselves in the world. It is in the searching for the deeper spiritual truths that we begin to find answers for the “Who am I? Who is God? What is my purpose here?” questions of our souls. 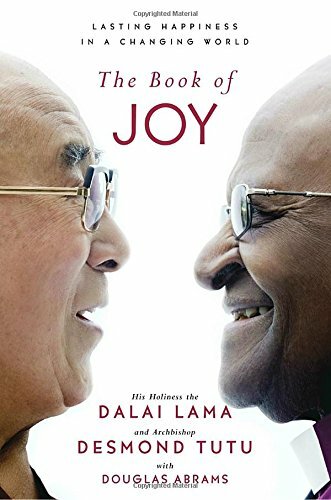 In this spirit, I offer you one of my best magpie finds, The Book of Joy by the Dalai Lama and Archbishop Desmund Tutu. Not only does this 350 page love letter offer a surprisingly intimate, endearing, often humorous revelation of two of the most remarkable spiritual leaders of our time, but its luminous message will speak directly to your heart. The Book of Joy opens as a plane lands in Dharmasala, India, the home-in-exile of the Dalai Lama. His Holiness is celebrating his 80th birthday and he’s invited his good old pal and “mischievous spiritual brother,” Archbishop Desmond Tutu, to spend the week with him reflecting on the secrets to everlasting happiness. Douglas Abrams, a close friend comes along on the journey to capture the adventure in pictures and words. He will do this with such skill that I felt as if I sat in the room with them as they sipped Darjeeling tea and nibbled on Tibetan flatbread.These two giants among men, both octogenarians, are clearly dear friends. They feel the shadow of their mortality close by. Because of their abiding love for all of humanity they feel compelled, urgently, to share their hard-won wisdom on the way to find joy in the short span of a life. Between nuggets of insight these two men are refreshingly playful and approachable. They tease and tell jokes, they enjoy a nice rum and coke and rice pudding. 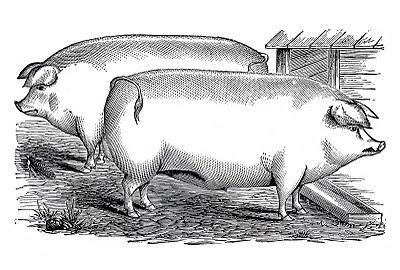 But they also embrace each other with tears and tender glances. In one of the most beautiful scenes of their encounter, the Dalai Lama turns to the Archbishop and says, “I hope it is your face that I see at my death.” It leaves the Archbishop and the reader speechless. Could there be a more moving expression of love? The Dalai Lama invites us into his inner sanctum where he meditates five hours a day. The description of his altar reminds of a magpie’s sacred nest with a statuette of the Madonna, a marble crucifix, a cerulean blue globe on a gold stand alongside his eclectic collection of buddhas. Together, one a Buddhist, the other a Christian, they meditated, prayed and shared the sacrament of Communion. Whatever your spiritual leanings, you will feel blessed by their willingness to pull back the veil on the intimate spiritual practices which have nourished their own souls over a lifetime. After my third reading of this book I have come to understand joy as a spiritual discipline. These two amazing spiritual men teach joy as a practice, a catechism. Together they compiled a list of eight secrets to living in the stasis of joy regardless of life’s vicissitudes. With the use of metaphor and parables interwoven with their own life experiences, even the science behind joy, these sages reveal how to practice perspective, humility, humor, acceptance, forgiveness, gratitude, compassion and generosity. I especially enjoyed the Dalai Lama’s metaphor of the axle on a horse-drawn cart. He says life is much like the dusty and unpaved roads of India. There are many a rut and pothole. Whether our journey is bumpy or smooth is determined by the strength of our inner axle (mind & heart). A team of neuroscientists and psychologists found the secret to our lasting wellbeing is our ability to reframe life’s situations more positively, our experience of gratitude and our choice to be kind and generous. We must never underestimate the strength we bear within us; our capacity for resilience, compassion, hope and sacrificial love. Ultimately, the greatest hope is that we live in such a way that our lives shine with meaning. “Every day is an opportunity to begin again.” That, from the Archbishop, is my new mantra. We are each learning how to be human. We accomplish this not in isolation, but together. In the end the fastest way to experience joy for ourselves is when we make possible joy for one another. For more from Farrell, stop in at her lovely blog, BreadandHoney. She’ll show up once a week in your in-box if you choose to subscribe. She has also written a gorgeous book of prayers called The Pocket Cathedral. Beautiful, uplifting post. Thank you, Farrell and Jennifer! I don’t know who writes more beautifully on this occasion, Douglas Abrams or Farrell Mason. I am a fan of Farrell’s books and I believe from her telling that I will be one of The Book of Joy as well. Thank you Jennifer for putting this book on my bedside in the coming days. Joy is the gift everyone wants.